Wow. We drove around the island this week and man oh man are the blooms starting to appear. The fruit trees are beginning to flower and the daffodils are everywhere. Most of my place it still forest so not a lot of blossoms to see but I did find this little fellow. 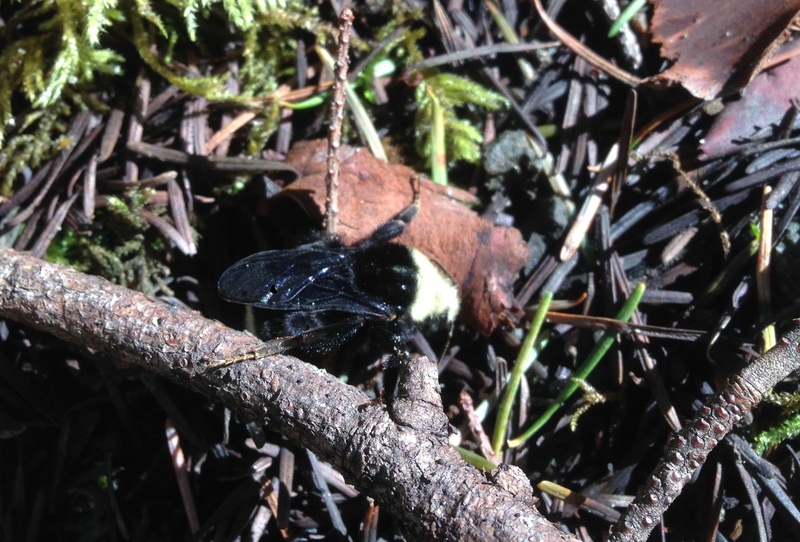 I believe this to be a carpenter bee, a very good pollinator but not so much a honey bee. Since we will be planting some fruit trees I’m glad to see them around.